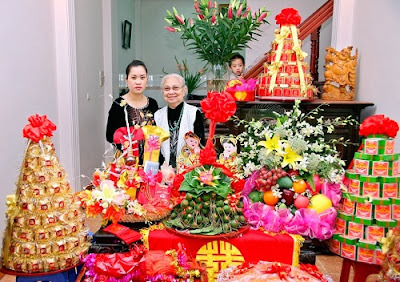 A specialty of Dinh Bang district, Bac Ninh province in the North Vietnam, the conjugal cake is known everywhere and has become a favorite choice for weddings and other celebrations. In the past, only royal families and dignitaries could afford to buy this kind of cake as conjugal cakes were only on sale at some important events. Nowadays, thanks to their improved living standards, almost every family can go for such pairs of delicious and beautiful cakes. “Banh phu the” is a Vietnamese sweet with a jelly-like texture made of tapioca, pandan, mung bean paste, sugar, sesame seeds and coconut milk. No flashy color, no fancy design, but once you eat them you simply can’t help being surprised with the flavor of this cake. The black sesame seeds are under the skin spots, wrapped in a square mold bread crust with coconut. It reveals the philosophy of yin and yang. The stickiness of the cake represents the stickiness of the marriage ties. Normally, a man would offer these to the girl he wants to marry. These cakes are still an essential part of a wedding banquet, or the gift packages that the groom’s family sends over to the bride’s family. 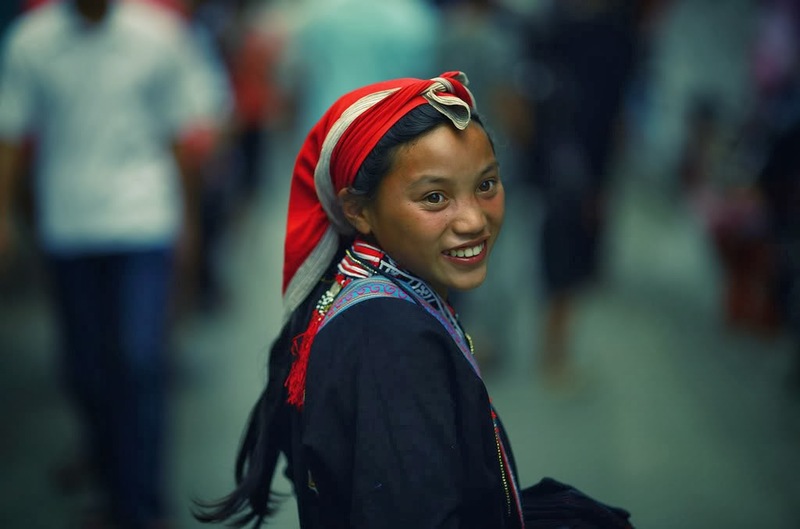 Click Here to see more about North Vietnam. The philosophy of yin and yang is also reflected in the form of boxes made ​​of coconut leaves. 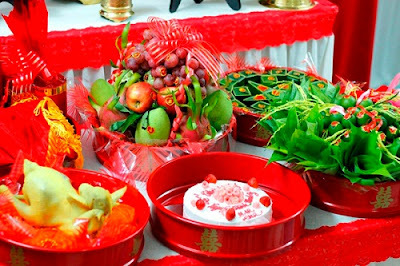 The small, low inside box, also called yin, holds the cake and the bigger outer box, also known as yang, covers the yin box. Its message is the symbol of caring between a husband and wife. 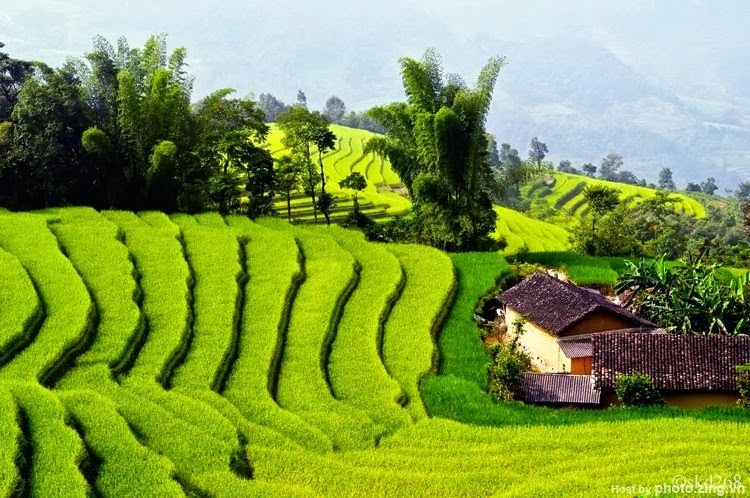 It is the harmony between the human and the earth, man and women. All of them blend together to create its very own flavorful cake. Once you taste it, you will remember it for the most gentle, sweet taste you have ever experienced. Nowadays, many weddings choose this cake because of its exquisite harmony. 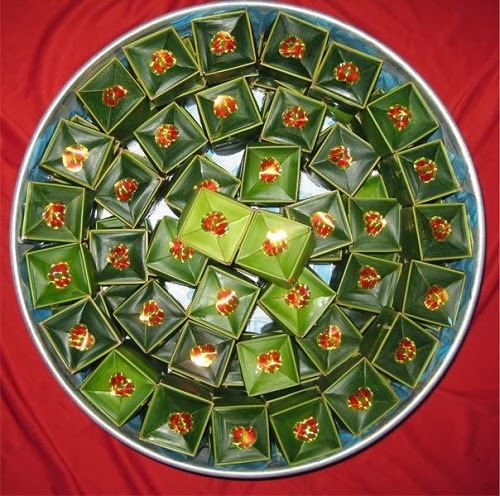 Instead of using coconut leaves to make boxes like before, it is replaced by cellophane. In the joyful atmosphere of a happy wedding day, happy forever is always the message that conjugal cake gives to the bride and the groom on the most important day of their lives. If you would like to know how to make this cake, you can visit Dinh Bang in Bac Ninh province in North Vietnam - a famous Vietnamese village in Bac Ninh province, then you can view the method to prepare this husband and wife cake.